An easy and healthy way to enjoy this family favorite. Includes gluten free and paleo serving options and slow cooker directions! 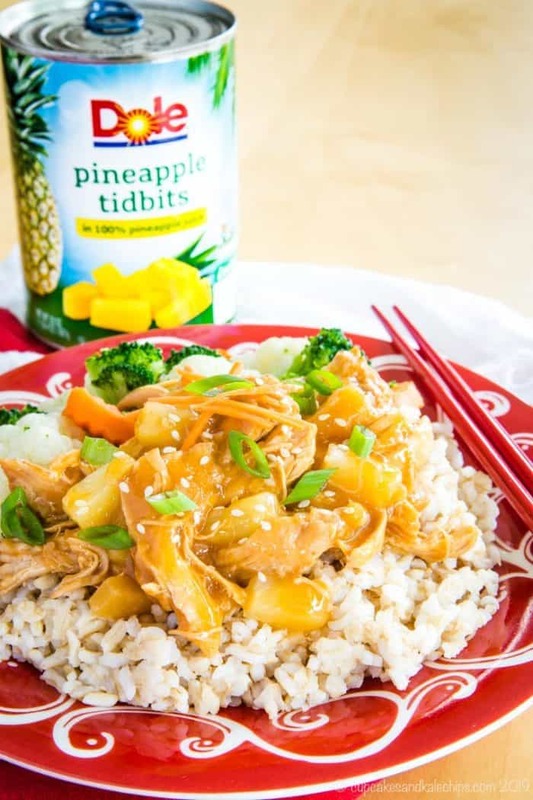 Pineapple teriyaki chicken is always a family favorite dinner recipe. You can make it even easier by letting your Instant Pot or crockpot do all the work. And with a few simple swaps, it can fit in with a healthy lifestyle. This includes options to make it gluten free, paleo, and Whole 30 friendly. You’ll love this Pressure Cooker Pineapple Teriyaki Chicken for meal prep lunches or a quick and easy dinner recipe. You even have the option to make it in your slow cooker. Keep reading for the recipe, tips, and a video! Disclaimer: This recipe was developed through a sponsored partnership with Dole Packaged Foods. As always, all opinions are my own. I like to think we have fairly good eating habits in our house. But the holiday season does bring an abundance of cookies and candy. And let’s be honest, there are even a few too many cheese and crackers platter. When January rolls around, it’s time to lighten things up a bit. So for us, it’s not really about changing our diet. It’s more about getting back to our normal. This means lots of salads and Cherry Vanilla Almond Smoothies for me. I’m back to packing the kids’ school lunches with plenty of fruit and nuts and sandwiches on whole grain bread. And dinners focus on lean protein and veggies, like Slow-Cooker Orange Sesame Chicken over Brown Butter Cauliflower Rice. I figure if this what most of our days look like, an occasional scoop or two of ice cream is totally fine. Because in my world, it’s all about balance. This recipe starts with Dole Canned Pineapple Tidbits in 100% Juice. Pour the juice into a bowl and set the fruit aside for later. Mix the pineapple juice with soy sauce or tamari, sriracha, rice vinegar, garlic, and ginger. Then, pour the sauce over the chicken breasts in your pressure cooker and set to the manual setting for 12 minutes. After the time is up, let the pressure naturally release for five to ten minutes for doing a quick release. Remove the chicken and shred it. While you are doing that, set the pressure cooker to Saute. Add a slurry of cornstarch or tapioca starch and water, and let it boil till thickened. 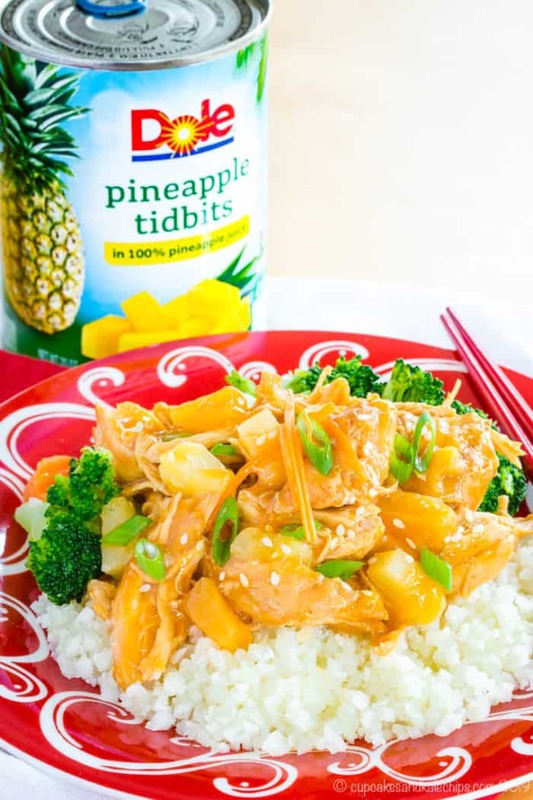 Return the shredded chicken to the sauce and stir in the pineapple tidbits. Serve with your favorite sides and vegetables and garnish with green onion and sesame seeds. Can you make slow cooker teriyaki chicken? Yes, you can prepare this dish as a slow cooker recipe. You’ll cook it on Low for 6-8 hours or High for 3-4 hours, or until the chicken is cooked through and shreds easily. When you remove the chicken from the slow cooker, transfer the teriyaki sauce to a pot to thicken it. You can also add the thickening slurry to the crockpot and let it cook for an additional 30 minutes. It will not get quite as thick, but it is an option if you don’t want to use the stove. Is Pineapple Teriyaki Chicken gluten free? Yes, it can easily be made gluten free. Simply use tamari in place of soy sauce. Or read labels carefully to choose a gluten free soy sauce. Coconut aminos is another option, which also makes this recipe paleo friendly. When thickening the sauce, you will use a simple slurry of cornstarch or tapioca starch, which is also gluten free. Is Pineapple Teriyaki Chicken healthy? This recipe is definitely a healthy way to make this dish. It’s made with lean boneless, skinless chicken breasts. And it is thickened with a starch slurry instead of adding extra fats and flour. Just like with my Pineapple Teriyaki Turkey Meatballs, the characteristic sweetness of teriyaki sauce comes from Dole Canned Pineapple Tidbits in 100% Juice instead of added sugar. That’s it – just pineapple juice and pineapple, thanks to Dole. I am proud to be partnering with Dole Packaged Foods to create recipes featuring their highest quality, GMO-free fruits and veggies. You can always find Dole in my freezer and pantry, and often in #BugsLunchbox. I am thrilled to share ways to use their products to make it easy to get more fruits and veggies in your diet in a no-fuss way. Find out more about their products by following Dole Sunshine on Facebook, Twitter, Instagram, and Pinterest. While I love to make this for the family for dinner, it is also a great option for meal prep lunches. I always keep a supply of meal prep containers on hand so that I can easily package lunches for myself or my husband. Then it’s easy to just grab and go, and pop them into the microwave at lunchtime. You can choose whole grain sides like brown rice, quinoa, or brown rice ramen noodles for some good-for-you fiber. Alternatively, cauliflower rice or zoodles are delicious low carb and paleo options. Either just needs to be lightly sauteed before packaging. And of course, we always serve plenty of veggies. Sometimes it’s just a bag of frozen mixed vegetables that are tossed in the microwave. Or it might be simple steamed broccoli or this delicious sauteed bok choy. Sprinkle with sliced scallions and sesame seeds for the finishing touch. What else can you make with Pineapple Tidbits? Dole Pineapple Tidbits can be part of your New Year, New You healthy habits from morning till night. I always keep Dole products in my pantry or freezer to add to healthy meals and snacks. This makes me a happy mama because I know that I’m adding an ingredient I can feel good about! 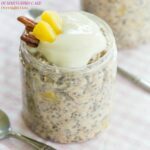 Hummingbird Cake Overnight Oats are simple to prep ahead to start your day off right. 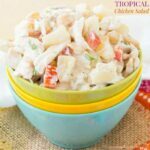 Tropical Chicken Salad is perfect for protein-packed lunches, whether you pile it on a sandwich or make a lettuce wrap or salad. Pineapple Coconut Energy Balls will fight those afternoon snack cravings. 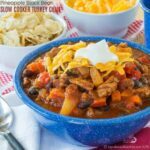 Pineapple Black Bean Slow Cooker Turkey Chili is hearty and satisfying with its sweet heat combo. Mango Pineapple Ice Cream (just a little scoop) can be your special treat after you’ve been keeping up with your healthy habits for the past couple weeks. The family will definitely request that you add this to your collection of favorite slow cooker or instant pot recipes. And you’ll be happy to make it a regular part of your dinnertime rotation since it’s quick, healthy, and delicious. The simple sauce and easy preparation will make this a go-to recipe for lunch or dinner. Remember those meal prep options and swaps to make it gluten free and paleo, if needed. Place chicken breasts in your pressure cooker (see Note for slow cooker directions). Drain the can of Dole Pineapple Tidbits saving the juice for the sauce (you'll have about 3/4 cup). Set aside the pineapple for later. Combine the pineapple juice, soy sauce or tamari, sriracha, rice vinegar, garlic, and ginger in a small bowl or measuring cup and stir together. Pour over the chicken. Close your pressure cooker and set to Manual for 12 minutes. Allow it to reach pressure and cook. When the cooking time is complete let the pressure naturally release for 5-10 minutes, then do a Quick Release to release the remaining pressure. Remove the chicken to a plate and shred with a fork. Set aside while you thicken the sauce. Set the pressure cooker to Saute. Whisk together the starch and water, then whisk into the sauce. Bring to a boil and cook for a few minutes until thickened. Return the chicken to the pressure cooker and toss to coat. Stir in the Pineapple Tidbits. Start with about half of the can, then decide if you'd like to add more. 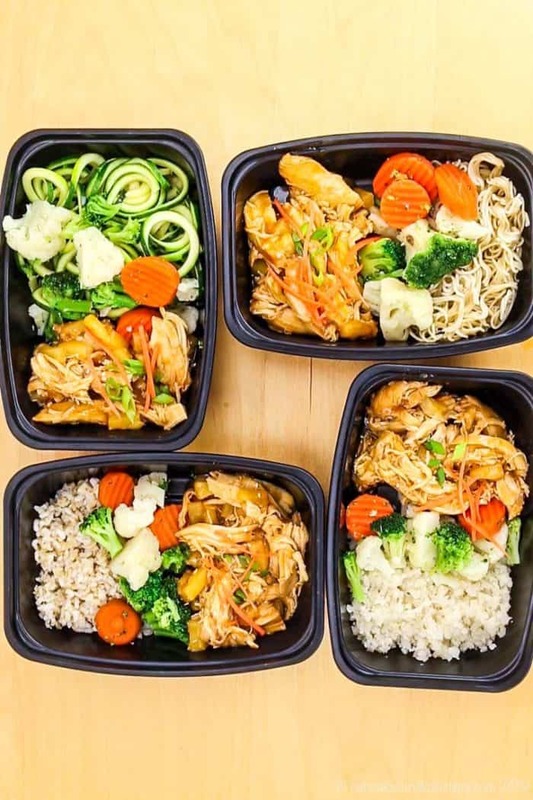 Serve over rice, rice ramen, cauliflower rice, or zoodles and vegetables, and garnish with sesame seeds, julienned carrots, and scallions if desired. To make this recipe in your slow cooker, pour the sauce mixture over the chicken in your slow cooker. Cook on Low for 3-4 hours or on high for 6-8 hours, or until the chicken shreds easily. After removing the chicken from the slow cooker to shred it, transfer the sauce to a small saucepan and add the starch slurry, bringing to a boil to thicken. Then return everything to the slow cooker. Alternatively, you can add the starch slurry to the shredded chicken and sauce in the slow cooker and cook on high for an additional 30 minutes. It will thicken, but not quite as much.